K Electrical supplies an extensive range of high quality Genelite and Honda generators to customers to ensure you have reliable back up power 24/7. Our generators can be used as back up power for marine, motor homes, commercial, entertainment, construction sites, campers, residential properties, mining, builders and many other uses. K Electrical offers the best prices on all gensets! Genelite (established since 1997) is Australian owned and widely recognised throughout Australia and the Asia Pacific for designing and manufacturing long lasting, quality equipment. 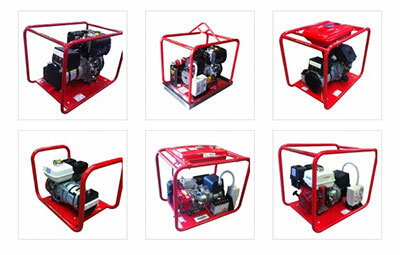 Genelite range includes top brands such as Yamaha and Honda generators. Genelite heavy duty portable generators are locally manufactured in Australia so you can be rest assured of superior quality and are built to endure harsh local conditions. These portable units are great for construction sites, trades people and rural properties. All our Genelite generators come with Honda petrol, or Yamaha Diesel; portable or fixed. K Electrical supply heavy duty Air Compressors which are available in either trailer or skid mounts. Genelite’s Air Compressors are suitable for stationary uses or to be mounted on service vehicles. These units are lockable and enclosed with a weatherproof canopy. We also provide welders Lighting Towers which are diesel powered trailer and are available ranging from 4000w – 9000w. These Lighting Towers are ideal for wide range of uses such as road works, industrial applications and construction sites. Our team of electricians have the know-how to install generators to either your home or business. We can install generators wired into your switchboard, automatic or manual changeover as you require. Contact us today for a free quote on (07) 4152 2177 or enquire about our full range of Genelite equipment. K Electrical are proud agents for Genelite and Honda generators.